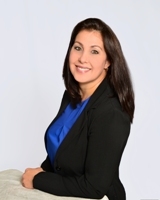 Hilda Rodriguez has always enjoyed all aspects of the real estate business. She has a passion to meet and establish relationships with people, to help them achieve their real estate goals. Her determination along with a solid reputation and past achievements makes her the real estate agent you want to guide you through the process of buying, renting or selling a Miami home. Hilda Rodriguez provides communication, negotiation and management skills in combination with in-depth knowledge of Miami neighborhoods and real estate market. Hilda possesses personal traits, professional strengths, and the skills needed to accomplish her clienteles goals. She will be there to assist your property search or listing, through market analysis, to negotiations, escrow and closing. You can rest assured knowing her determination and attention to detail will ensure your Miami real estate transaction closes smoothly. Whether you’re a buyer or a seller you can count on her willingness to deliver the results you want. Hilda Rodriguez is your go to Real Estate agent for all of your Miami real estate goals.